British Airways First Class Amenity Kit unBOX. The British Airways First Class Amenity Kit is Soooo Basic. We can only assume that our kit was defective or that someone had gone digging through it. Earplugs seem to be missing from this men’s British Airways First Class amenity kit but not to worry, we see in other’s reviews that there SHOULD be some there. As for quality, we’re not sure so it won’t hurt to bring a pair or two from home. All unBOX’d! 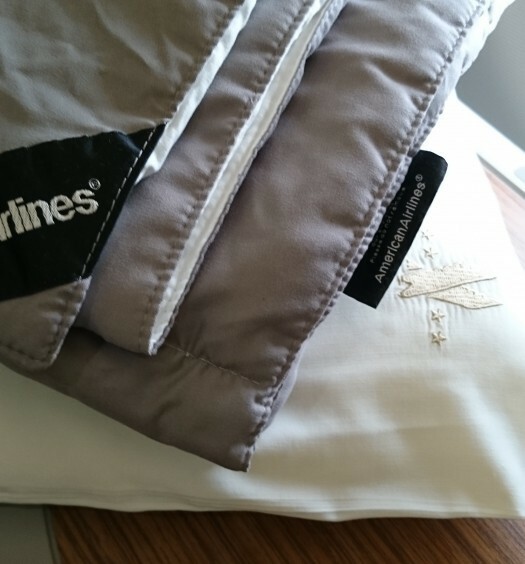 The guts of a British Airways First Class Amenity Kit on display. It’s got annoying little flippy things at the bottom that are presumably to keep light from getting in but we’re fans of the included eye mask regardless. One solid, Velcro strap keeps it in place while you sleep and is easily adjustable for comfort. The soft inside is like a blanket for your eyelids. There’s a decent travel-sized tube of Colgate toothpaste wrapped up with a full sized toothbrush in the kit. This beats the no-name, micro-sized toothpastes found in other kits. 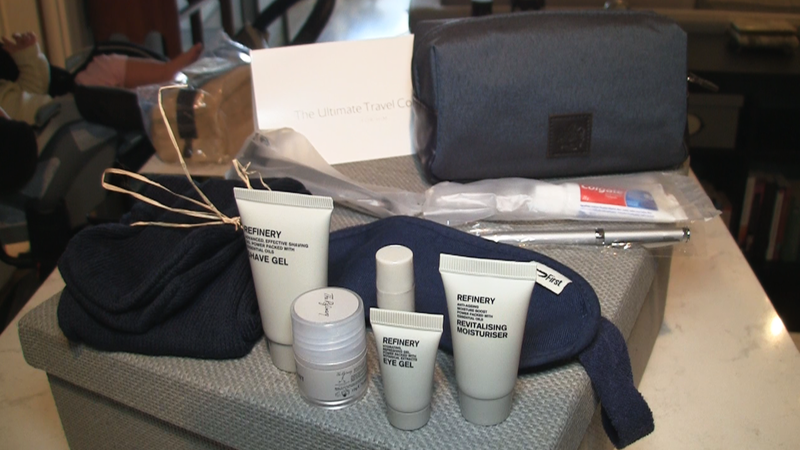 Tiny-sized Refinery brand men’s products are included in this (men’s) British Airways First Class Amenity kit. Everything you need to shave and refresh are inside: shave gel, moisturizer, eye gel, lip balm and deodorant. 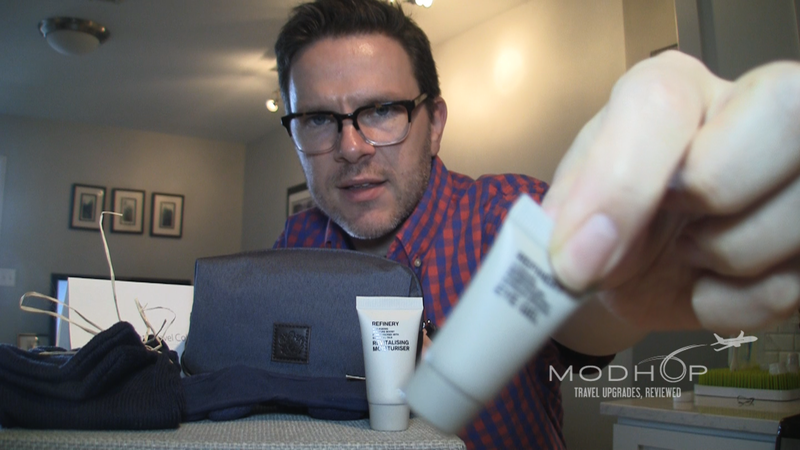 Lighting and focus expertise continues to elude Jake as he presents this BA Amenity Kit. Super-soft socks are in the kit for protecting your feet from airplane floor gunk while keeping them cozy. Even with earplugs this men’s British Airways First Class amenity kit is a little underwhelming considering the cabin you’re in AND that you maybe paid a ton in fees and taxes to sit up front. Most of what you really NEED is here though, at least enough for basic comfort and pre-arrival revitalizing. 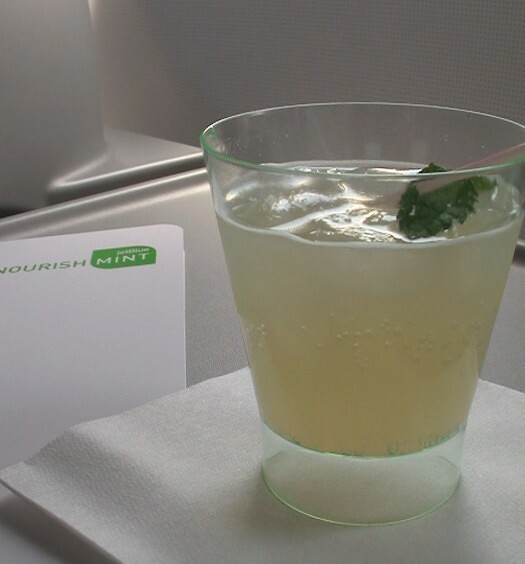 Here’s our video for British Airways First Class, or watch with the full text and gallery. 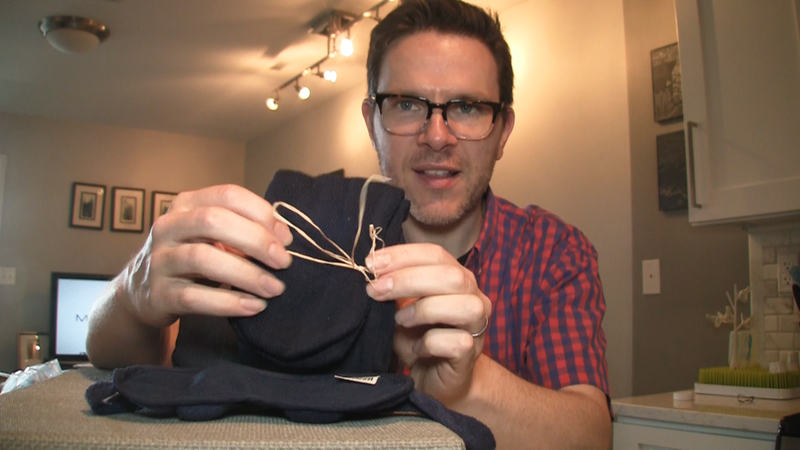 Thanks for watching our British Airways First Class amenity kit unBOX. See our other kit unBOXings now and watch for more soon. For the prices they charge for First Class the amenity kit offerings is rather poor. They should have stuck with Molton Brown instead of the cheap toiletries they now have. On the whole we didn’t hate the Refinery products but agree having Molton Brown still in the kits would be much better.